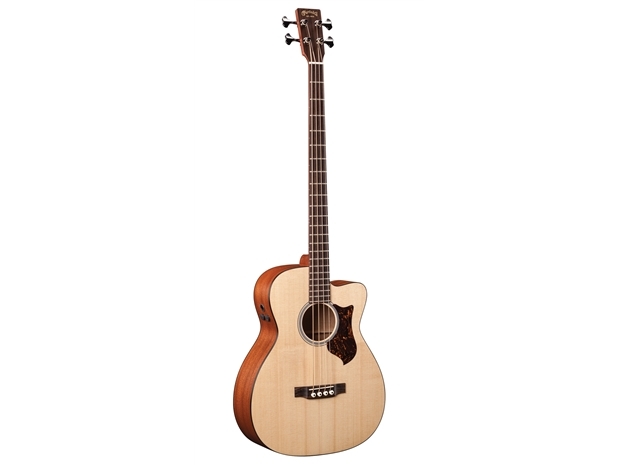 Jumbo Acoustic Bass Guitar. Solid Sitka Spruce top with solid Sapele back and sides. Bass A-Frame “X” bracing pattern. Select Hardwood neck with solid East Indian Rosewood fingerboard. Fishman Aura Analog electronics w/tuner. 360 case included.